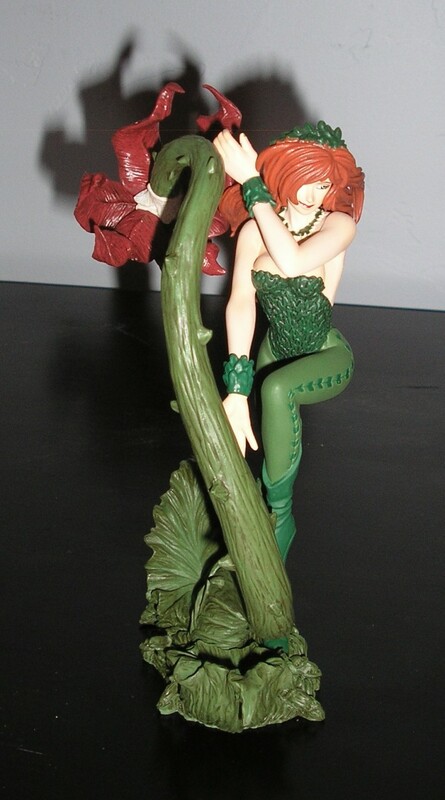 I found this little jewel while searching for other Poison Ivy statues. It’s a Japanese import that’s limited to 7000 pieces. I had never heard of Kia Asamiya, but the figure looked rather well done so I thought I’d give it a shot and I must say I’m glad I did. The sculpt of this figure is just gorgeous. She’s made of PVC and come’s with a pretty awesome base. It has weight to it and doesn’t feel cheap whatsoever. A+ on the paint job as well. 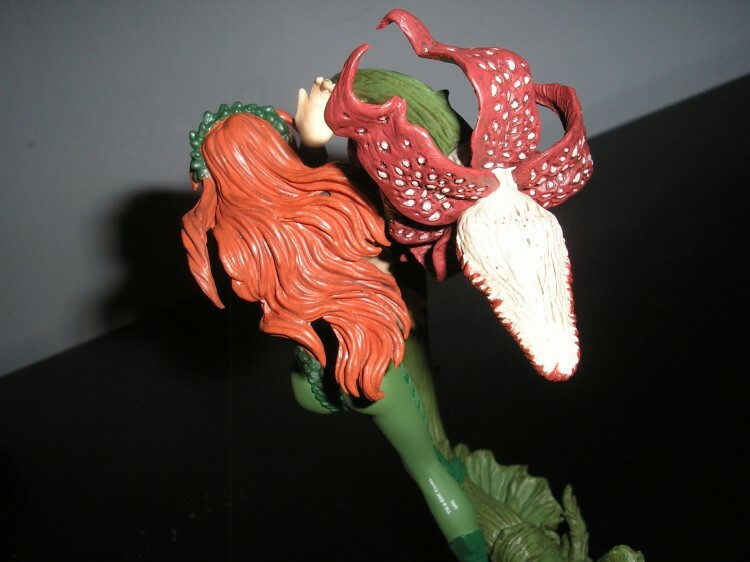 I’m extremely pleased with the facial details, her face just reads “I’m Poison Ivy…” in other words, don’t mess with my plants!! I do have a few issues with this piece though. The base is gorgeous and I absolutely love the level of detail they put into it. However, the holes for Ivy’s feet are a very very tight fit. Instead of just slipping the piece right into the base you have to work at it a bit which bothered me at first. 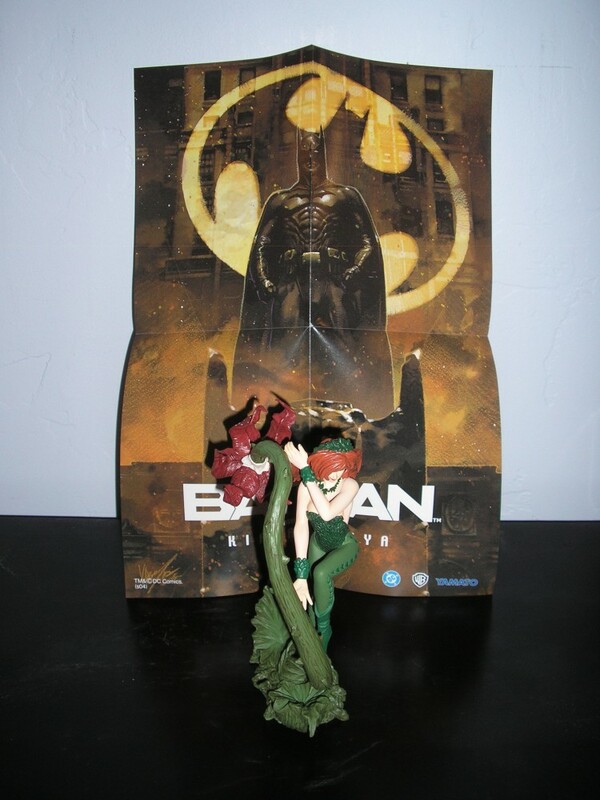 However, the figure is very sturdy. I never felt as if her foot or leg was going to break off when I was placing her. The other issue that caught my attention is a very minor one, her arms if you look in the picture don’t quite touch the base plant. I think her hands were meant to be touching the plant, but since they don’t it just makes her look like she’s in some sort of workout stretch. And lastly her left arm sculpt is a bit strange as well. If you look at the pictures you’ll notice it’s not sculpted into the body. You can see instead of being molded into the piece as a whole, it was connected later. As far as packaging goes she’s very secure. Double plastic container protects her within the package from any damage that may occur from shipping and what not. The box art is okay, a tad bit generic. 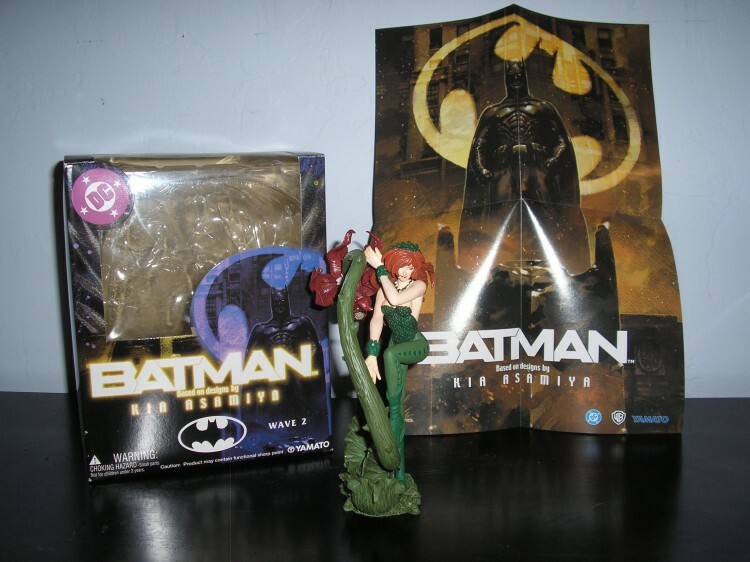 It doesn’t say anything about “Poison Ivy” which leads me to believe this is the standard packaging for the entire Kia Asamiya Batman line. 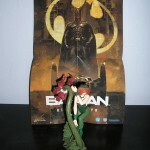 It did come with a neat folded up Batman Poster though. Overall I’m happy with this figure. I would give her a 4/5 rating. 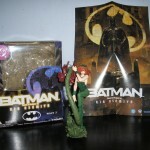 Superb paint job, dynamic pose, sturdy base, and a very decent price. I got her for $15.00. Since there are only 7000 of these she is becoming rare though, so if you’ve been thinking about getting her don’t wait. 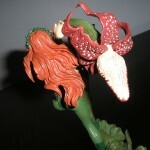 You can pick her up over at my favorite online store Amazon.com .